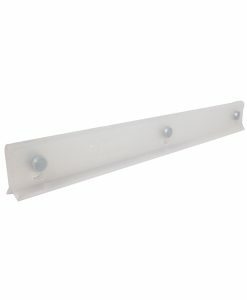 The MagRail is a versatile plastic clamp (similar to the function of a clipboard) that uses magnets to grip posters, pennants, signs, and other display materials. Those same magnets hold MagRail to metal surfaces for easy display. 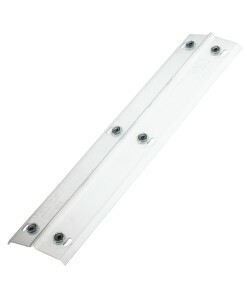 Ideal for retail display and signage, information display, heavy equipment sales, organization, office use, fridge clip etc. Use it to help with college dorm décor and leave the tape behind. The applications are endless, so get creative! MagRail is available in 8″ and 12″ lengths. 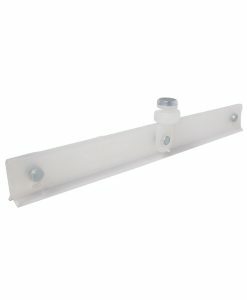 MagRail can also be ordered with a Magster Hook for drop ceiling hanging and similar applications. Custom imprinting is available. Contact us for additional information.